The products works fine till now. 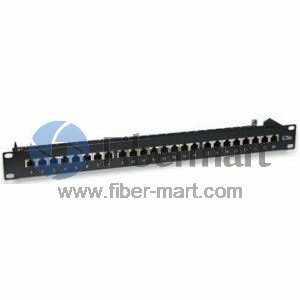 Fiber-Mart offers patch panels for Cat6A and CAT 6 network connections with 110 punch down tool or pass through keystone jacks. They meet ISO/IEC 11801 and TIA/EIA 568B parameters. We offer Cat5e, Cat6 and Cat6A patch panels with options that range from 8/24/48 entry ports, shielded and unshielded. Our Cat 6 patch panels and Cat6A patch panels are designed to fit standard 19" racks, wall brackets and enclosures. Our patch panels including CAT6 patch panel wall mount type are with high quality at good prices. They provide flexible, multi-purpose RJ45 connections for copper networking applications.